The title of this essay has been chosen mainly for aesthetic reasons and does not really give an accurate indication of the contents. I propose to consider aikido in opposition to religion and philosophy only in a very broad sense and do not imply that they are mutually exclusive. However, there are some issues here. 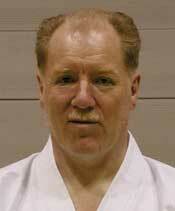 Many claims have been made for the efficacy of aikido and not just as a system of self-defence. Practice is supposed to have a dimension that can be called spiritual. But some questions have to be posed. Can the practice of aikido help one to be a good Christian, or Muslim, or agnostic, or even atheist, and if so, how? In what sense can aikido practice be said to ‘complete’ the spiritual and moral life of a practising Christian, for example. Are there any relationships between aikido as a spiritual pursuit and mysticism? In what sense could aikido be called ‘sacramental’? In other words, does aikido practice automatically lead to desirable spiritual results? Does it make sense to talk of aikido as a philosophy, or philosophical system? If not, what is the difference? This seems pretty uncompromisingly spiritual, even religious, but this aspect seems to have received little emphasis after the Founder’s death. Practice is certainly supposed to be ‘good’ for one and we sometimes hear phrases like ‘self-realisation’, or ‘realising one’s potential’, but the suggestion is rarely made that aikido demands a certain specific spiritual commitment. In some countries aikido is practised in sports centres, or fitness centres. So the connection between ‘having a good workout’ and ‘having a good practice’ is easily made, but is this all there is to it? ‘No,’ you will probably answer, but what is lacking in a ‘good workout’ that a ‘good practice’ supplies? What was the the religion of Morihei Ueshiba, the Founder of aikido? It was an amalgam of Shinto/Buddhist beliefs and meditation practices as interpreted by the Omoto religion. Some of Morihei Ueshiba’s disciples suggest that he preferred Shinto to Zen, for example, but this does not necessarily mean that he can be called a Shintoist.2 His ‘bible’ was the Kojiki and Nihon-Shoki, collections of ancient Japanese myths and legends, and the extraordinary collection of speculative tales put together by Onisaburo Deguchi, known as Reikai Monogatari (‘Tales of the Spirit World’). During practice the Founder used to discourse at great length about ‘spiritual matters’, but almost none of his disciples claimed to know anything about the content of these discourses, or even remember them. Thus, these disciples have tended to separate the things they were familar with, their daily practice on the tatami, from the things they were not, such as the Shintoist mythology and kotodama doctrines. But the Founder did not separate them and seems to have become increasingly preoccupied with them. After the Second World War, when the Aikikai Hombu moved back to Tokyo from Iwama, the Founder seems to have spent most of his time there or in Iwama, or visiting his disciples around Japan (with one visit abroad, to Hawaii). He seems to have played very little part in the actual development of postwar aikido and seems rather to have become a kind of aikido icon. The usual explanation given is that the Founder was engaged in his own ‘spiritual pursuits’, the implication being that these pursuits do not concern us, and that the ‘real’ business of teaching and spreading aikido as a postwar art was left to his son, Kisshomaru Ueshiba. The suggestion has even been made that the Founder’s aikido is quite different from that of other people. In one sense this is true, but trivial; in another sense the suggestion, if true, would have major implications for aikido and its development.3 Thus, at least one has to ask the question: how necessary are the Founder’s spiritual pursuits to proficiency in aikido, understood in a broad sense?4 The Founder seems to have spent his later years telling everybody about these pursuits, but no one seems to have listened to him, or understood him. Is this a problem for people like ourselves, who never knew him?